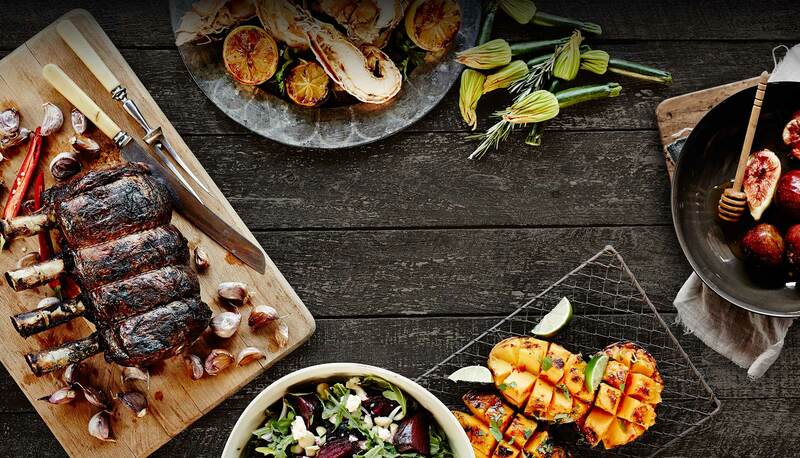 Personal Chef Byron Bay & Gold Coast is a service that will provide people with a healthy, easy, weekly menu. Personal Chef Byron Bay & Gold Coast will do the grocery shopping and bring it to the clients home to prepare. We will guide clients through the menu and teach them how to cook it. Our aim is to help people with their health eating goals, save time and make life easier. We are flexible and will work with peoples needs. Personal Chef Byron Bay & Gold Coast offers cooking lessons either one on one, or in a small group. We also provide catering such as dinner parties, BBQ's, specialised cakes and canapé service. Gift vouchers are easily arranged for clients, whether it's a special dinner for two, or a cooking lesson. My name is Emma Dennett and I’ve been a personal chef for twenty two year and a private chef for ten. Personal Chef Byron Bay & Gold Coast is about bringing the chef into your home! Personal Chef Byron Bay & Gold Coast specialise in dinner parties in your home. Our service also includes, catering private dinners ,lunch parties, intimate weddings, prepared meals, cooking lessons and gift vouchers….,or just enjoy your own private chef. Let Personal Chef Byron Bay & Gold Coast spoil yourself and guests with delicious 5 star cuisine designed just for your special day!. Send me an email, with details about your special event. What are your dietry needs and reason for hiring a chef. We send a personalised menu based on our consulting emails. We perfect it, to get it just right for your special day!. Simple... I do your food shopping. It saves time and is a lot less hassle for you. I create your personalised menu, I come to your home, prepare, cook and then the best bit, clean up all the mess. We will create a personalised menu that will suit your special event. I’ll take care of the grocery shopping, preparing, cooking and clean up the mess. Personal Chef Byron Bay & Gold Coast come to your home and service your heavenly menu! You don’t have to worry about a thing, just be entertained! Bring the chef into your home. A personal chef takes the hassle out of “what do I cook?”. After the menu is decided, I’ll get the freshest local produce and get to work. What cuisine and flavours excite you? Up for experimenting? Your menu can have this too!. We also do catering for small dinner parties, BBQs, birthdays, anniversaries and any other celebrations. Learn to cook. Ask those mysterious cooking questions! Improve your skills. Stuck for gift ideas? How about a personalised dinner or cooking lesson? A gift certificate is the answer! Emma cooked for my 50th birthday, 30 guests were served rustic, fresh, yummy food. Emma sourced a lamb spit-roast, with vegetables, salads, breads and dips. Extremely well priced. I would happily recommend Emma. Emma's been cooking meals for me for over 6 years now and her cooking is always VIBRANT - in taste, in colour and in texture. The food she serves is super nourishing! I can highly recommend Personal Chef Emma Dennett for her exciting, fabulously flavoured food, her totally unique style, her extreme professionalism and punctuality and her warm and lovely personality. Emmas pure passion for food in every dish she creates. A world class chef with a natural talent for combining amazing fresh flavors and producing some of the most delicious meals I've ever tasted! Feel free to ask a question, or make an enquiry, Personal Chef Byron Bay & Gold Coast is happy to answer any queries you may have! Bring the Chef Home will save you time, create healthy eating habits and bring deliciousness back into your life!